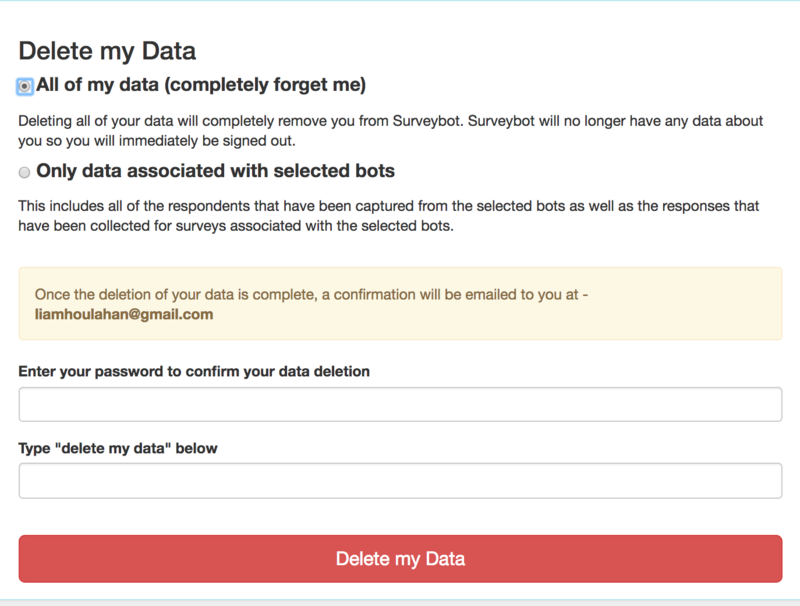 Destroy all data related to your account on Surveybot. This section outlines how to delete all of your data or data associated with selected bots. By deleting all of your data you will be removing all traces of your account from Surveybot. 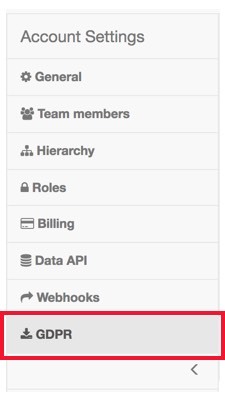 This includes all respondents, surveys, data collected as well as team members in your account. WARNING: If you do this your data will not be recoverable. Once you have deleted it, it is gone forever. 3. Click "Delete my data". 4. Select "all of my data" or "Data associated with selected bots"
5. Enter your password and the confirmation text. 6. Click "Delete my data" to proceed. Now your data is gone. Surveybot will have no further recollection of you. If you have any questions about this or other GDPR related questions please reach out to us at support@surveybot.io.